We started singing Cory Asbury’s song, “Reckless Love” recently at Church. Every new song we sing at Church goes through a process. Some of the parameters are ‘singability’, when it was released, its culture, its feel, its tempo and of course its theology and meaning. This song has caused some ruckus in the evangelical world particularly over the phrase, ‘ reckless love of God’. Some wonder if God could be described as ‘reckless’. Surely God is thoughtful and considered. I have a theory that all emotions are helpful in the right context. Perhaps even a sense of recklessness is appropriate if you consider the context. Jesus shared the parable of the shepherd who left the 99 to pursue the 1. The one who had wandered away from the flock. There is a sense of recklessness about this action, motivated by God’s love for every one of us. I wonder sometimes if we have allowed our Western thought of rationalism to permeate church culture of the point it overshadows the testimony of scripture. To the point we subconsciously think that God considers as we do. Is it not possible to consider the fact that God may be overcome with love, so greatly, so deeply, that His pursuit of us is considered reckless? Would you say that it would be reckless if I knew I was going to be killed for someone who would not even return the love I was offering? I think you might. Yet this is the type of love God has shown for us. I love singing a new song, as the scriptures command. It forces me out of sentimentality and into spirituality. To consider again, anew and afresh…the reckless love of God for me. Its lyrics go straight to the heart of our identity as people and Christians. Who I say that I am leads to so many personal spiritual issues. In fact I would say that who we think we are, and who we think God thinks we are is at the heart of nearly all our personal problems, conflicts, insecurities and misunderstandings. This song is a wonderful affirmation of our standing as children of God. As people who are forgiven. Who have an eternal destiny. People whom God loves and thinks of. We are who we are, because of who He says we are. It is probably quite rare that when you are talking to a crowd that they are thinking about you and your issues. Maybe their mum yelled at them, maybe they are hungry, maybe a opportunity is coming their way and they don’t know whether to take it. Sometimes I’ve listened to a pastor preaching where it seemed like it is a therapy session for them. They are self analysing and self repairing, and they have an audience to observe it. I can often be envious of a conference speaker, who normally has five or six incredible messages they can give to a large crowd, to much appreciation. The local church pastors role is so much more intense, and Sunday comes around every week. As a communicator the best and most effective form of communication is when the listener is engaged, interested and finding the material of use. However people are very polite in their response, they don’t always tell you what they are thinking. Especially not in a local church setting. This is why communication for the local church pastor can be difficult, you are never quite sure the message has connected. When someone says to you, nice message pastor, does that mean you have just given them 25 minutes in which to zone off? The challenge in giving a message is to stop thinking about yourself and your agenda, and become aware of what God is thinking of, and just as importantly what your people are thinking about. The solution is to know your people. To know what is really on their minds, what is occupying the real estate in their mind. What are their fears, their anxieties, their joys and their struggles. The reality is Gods word, both written and the promptings of the Spirit have something to say to those realities. The best local Pastor will find where that intersection is and communicate to that. They will communicate to the pastoral needs of their people because they will know what those needs are. The truth is most of us love our mothers and literally owe our lives to them. There is also a general sentiment that mothers act sacrificially and lovingly to their children. Raising them with grace and provision. A day to celebrate them and their positive influence in our lives seems appropriate. 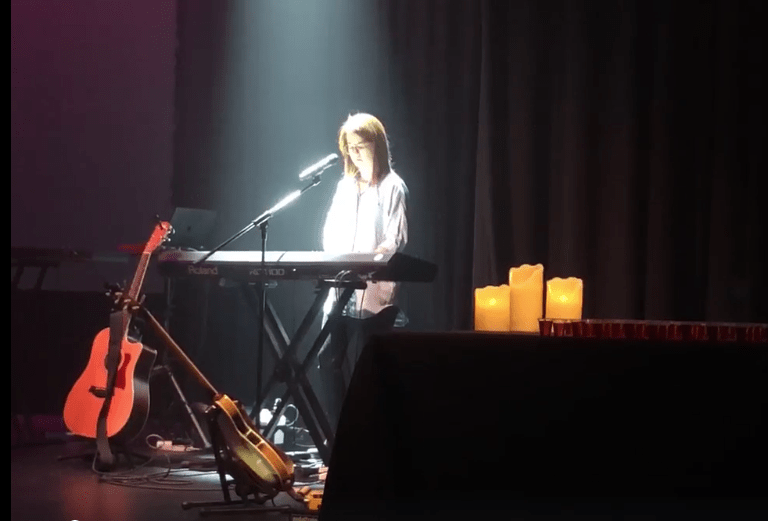 Churches have embraced this culture and most make special mention of mothers during a Mothers Day service with gifts, special photos, videos and many even speak to their influence during the sermons. This year was no exception. However I must admit the unease I am beginning to feel. There are many women for whom mothers day is a reminder of what they have not been blessed with. As we celebrate mothers and single them out in church it brings to their mind a sense of inadequacy, that somehow they are less than what they should be. Other women, and men, may reflect on their experience of a mother. She may have been absent, violent and just plain mean. This week one lady shared with me how her mother had abandoned the family at a young age. Others shared with me that they stayed away from Church at Mothers Day because it is all just too much for them. At Inglewood Church this year we certainly did what we could to navigate what is for some a conflicted and difficult day . I spent some time coming out of our praise and worship just praying for those for whom this is a painful day. I cannot possibly understand the depth of some emotions, pain and lack. We also distributed a small gift for all the women not necessarily singling out the mums. Womanhood is a gift from God, no matter whether the blessing of children come or whether it doesn’t. I suppose all I am saying is in the midst of celebrating all that is good, we also are aware of all that is not. There is really no point being too reserved with this post. So hold on to your sensibilities. My first real pastor was a passionate preacher. I used to buy his tapes (take note Millennials) and listen to them in my RX4 coupe. He was a funny and impressive communicator. It was him who gave me the example of what a pastor could be like. He also discipled me and led a great young adults bible study. To be honest, some of the phrases and devices I use today were totally from him. He was my first real spiritual mentor. Unfortunately when I got back from Bible College, after being away for three years, the church had changed and my Pastor was gone. He had had a affair, which he never really admitted or dealt with. I saw him years later and had a great deal of affection for him. However it was not the same. Alcohol and adultery change you. Many years later I found out about some of the unhealthy leadership which had put immense pressure on him. Amongst the success of the church there where many who did not look out for him. But he must take responsibility for the choices he made. A few years later I found myself in ministry myself and leading a church. I was desperate for some keys to see the church grow. This is what I had been asked to do. I sought out another mentor. He was a fairly recent addition to his church and saw almost immediate and spectacular growth. The church went from about 40 regulars to over 200 in a short period of time. I asked him how he grew the church and he said, ‘one person at a time”. I was not that long after that that rumours started to surface about my new mentor. Turns out he had at least one affair, probably more. His ministry at that church was terminated and it was pretty messy and pretty public from that point on. There have been a few others which have affected me, but affected their marriages, churches and communities a lot more. Which brings us to the latest very public scandal enveloping someone whose hand I have shook, but thats about the extent of our relationship, at least from his side. He is someone whose books I have read, leadership podcasts I have subscribed to and conferences I have travelled around the world to be a part of. This latest scandal is far from clear. Some of what he has been accused of, while inappropriate, does not seem to me to be anything worth the effect it has brought. Other stories however do seem far more troubling. And I must admit the patterns of behaviour are concerning. Either way, he is now out of ministry, guilty of at least a severe lack of wisdom, by his own admission. However at worse a pattern of behaviour that has weaved its way through his ministry. I actually don’t know what to think about this latest one. People of real integrity have different views on both sides. Do any of these stories discount the positive effect every one of these ministers and mentors have had on my ministry? Perhaps they do, to be honest. Right now I am feeling pretty disappointed. People may say, trust in Jesus, follow His lead. And that is entirely correct. But God in His wisdom, has given us as other humans to learn off, to grow with and even to follow. Somewhere along the line they will all let us down. There are now young men and women in my church who only have known me as their pastor. I literally have pastored in the church before they were born, and they are now early ’20’s. Today a great family who used to attend Inglewood years ago returned for a visit. I asked the teenage children if they remembered me. Of course they said, we know who you are! Lord, my feet are made of clay. Let me stay the course, be a mentor, not let You or others down to the point of discouragement. I help organise the annual WA Baptist Pastors Conference. I was reflecting on over 13 years of helping organise this conference. There used to be under 70 Pastors and leaders who attended when I first started. 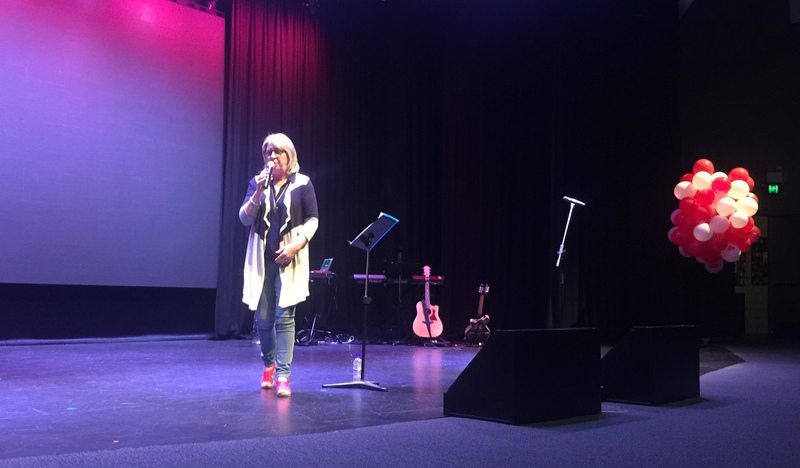 It was a conference where the worship team was assembled from whoever rocked up to conference. Different Pastors may present a paper they had worked on. The food was very ordinary and the organisation was adequate. This year we had over 248 delegates attend over the three days of conference. The services were planned to the minute with great production values and elements designed to inspire, challenge and encourage. 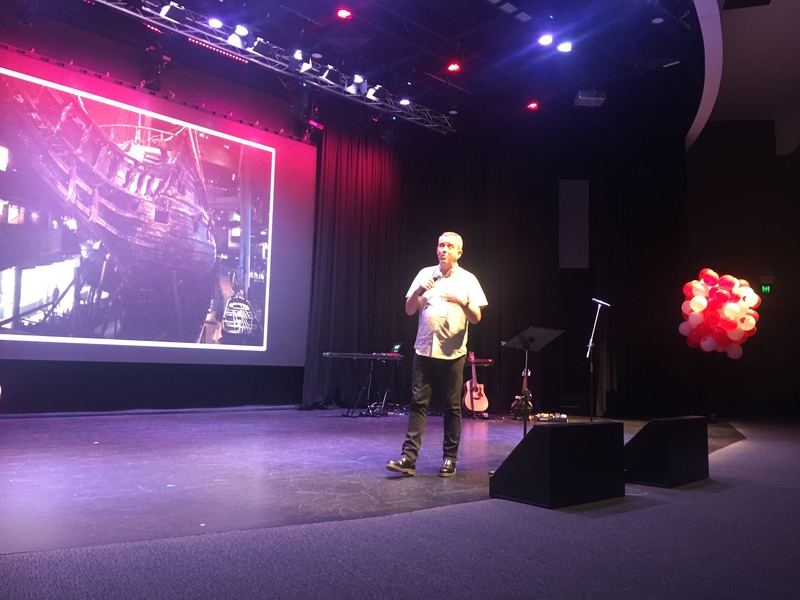 Our main speaker was Pastor Stu Cameron who heads up Willow Creek in Australia and is the Senior Pastor at New Life Church on the Gold Coast. We had as a session speaker Karen Siggins who is the Senior Pastor at Lesmurdie Baptist Church. She challenged us to listen for the heartbeat of God, to love God, to love others. It was a memorable message from a skilled communicator. 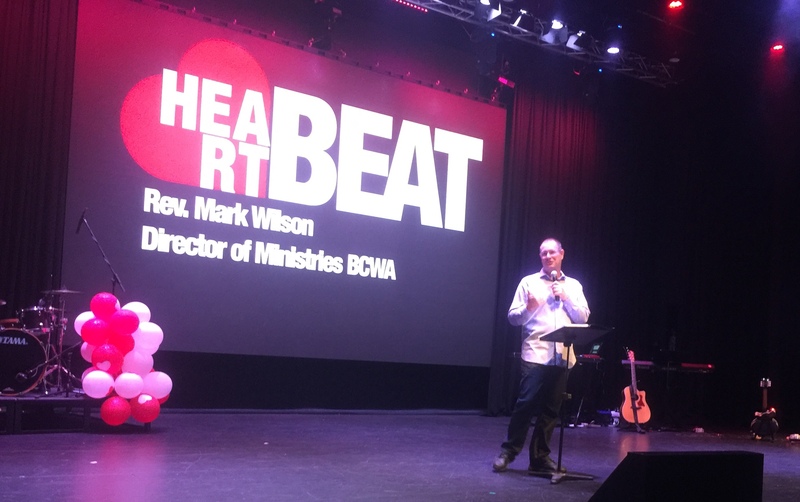 Mark Wilson is our Baptist Director of Ministries in WA and sets the vision for the retreat. He has brought a wonderful culture into our movement and his session is always a highlight. It is a challenge to have something which goes very well. Whenever something is effective and significant, different people want to hitch their wagon to the success. Keeping the main thing the main thing is always a struggle with any event such as this. My heart is and has been for Pastors. A few years back I received a prophesy which in essence said that encouraging Church Pastors was something God had for me. A number of different people and situations have confirmed this for me. So I see the Annual Baptist Pastoral Retreat in this light. It is for the encouragement and blessing of Pastors. That is its core value, and something I jealously guard. Its also a wonderful event for developing team and many of the churches bring along their whole team. Its fun, encouraging and there is lots of space for team bonding and a great laugh. I also see Retreat as a space for creativity and new ideas to be given space. For different churches to see what works and what is effective in the area of worship and the arts. The Worship Team for retreat were in planning for about 8 months prior to retreat. Yet there is also space for spontaneity and last minute changes. If you plan well, you can respond well. Us pastors have a difficult role at times. We also have a joyous role at times. It is an incredible privilege, blessing and responsibility. All at the same time! Our Retreat reflects that. Perhaps the best part is in having the opportunity to share a meal, share a table, share a laugh, share a prayer, share a warm moment. To be together. Its a strange and unique journey at times. So the Baptist Pastoral Retreat is a precious time. I am a competitive guy. Come down on Thursdays when I play squash and you can see that for yourself. As I often say with a smile on my face, I am not here to make friends I am here to win. Of course I play for a number of reasons including fitness, fun and friendship. But we keep score. 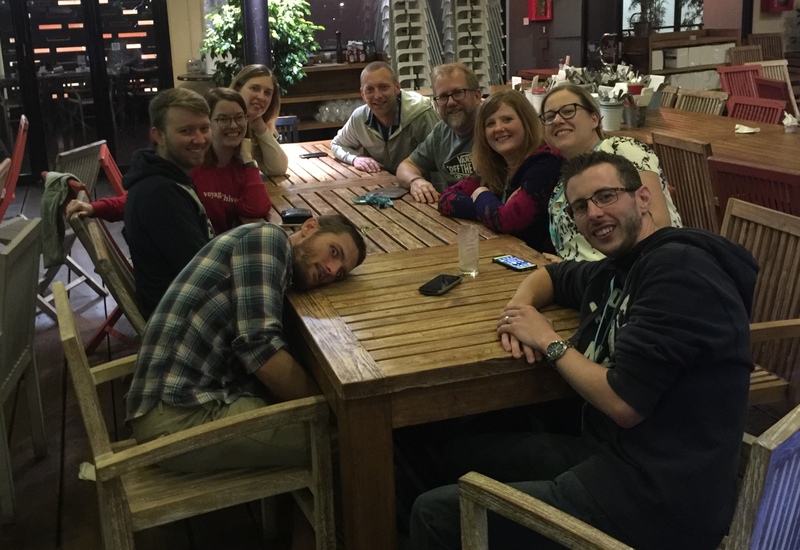 When Pastors gather together for social and networking reasons this competitive spirit is under the surface. Like farmers enquiring about how much land another farmer owns, Pastors want to know how many people the next guy has in their church. Its natural. At some level it goes to their significance and place in the room. And like a farmer, its not something we normally ask, but we find out somehow. “4 When one of you says, “I am a follower of Paul,” and another says, “I follow Apollos,” aren’t you acting just like people of the world? There is a number of things here. Paul points out that when we ascribe loyalty to one particular leader, pitting them against each other in some sort of church contest, we are following worldly values, not Jesus values. Both those leaders are serving the same Jesus, the same Lord. They are both preaching the same gospel. Furthermore those leaders are doing work which the Lord gave them. Like talents, some are given 2, some 5, some 10. The mission, target and focus did not originate with them but rather with the call of Jesus and perhaps their skills, gifting and placement. When another pastor, leader or church sees significant growth, people coming to Jesus, Churches growing…it is a cause for celebration. We are all actually on the same side. And when we are at our best we are winning, and so is everyone else on our team, the Church of Jesus Christ.